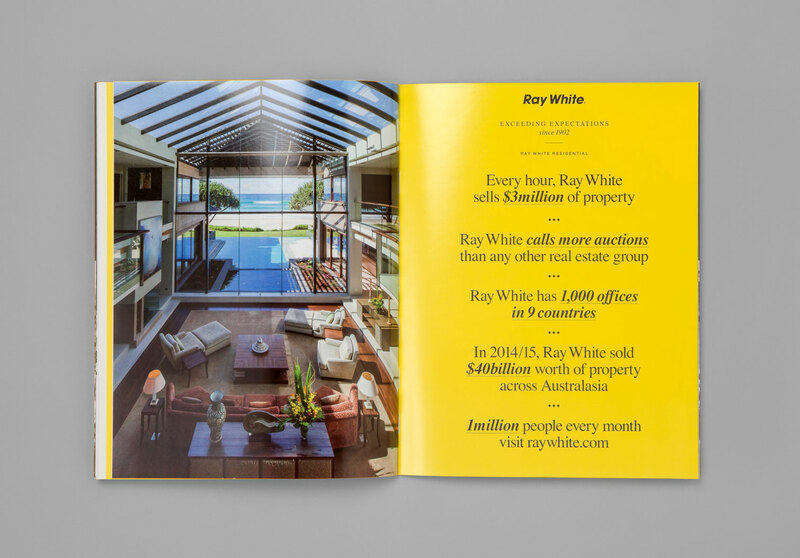 Company profile for Australia’s largest real estate network. 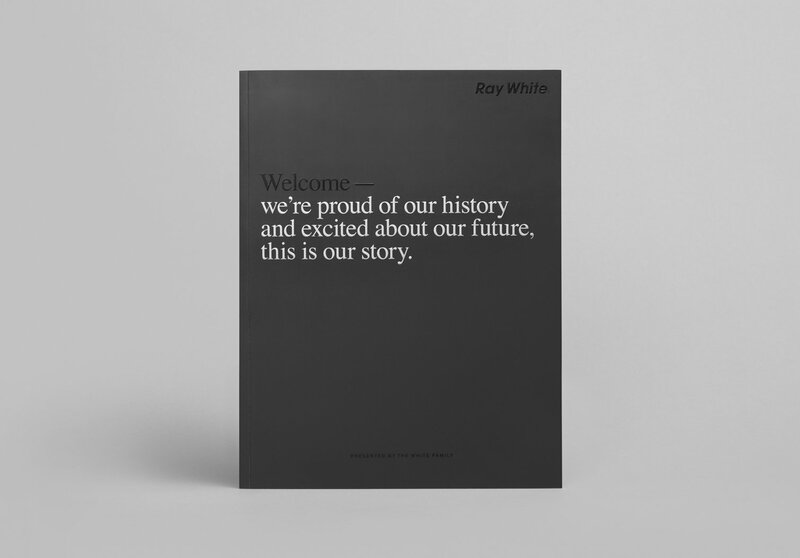 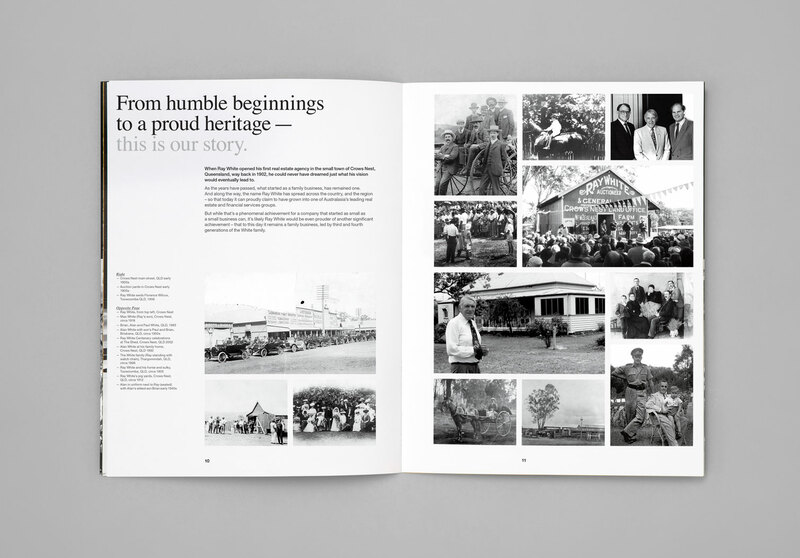 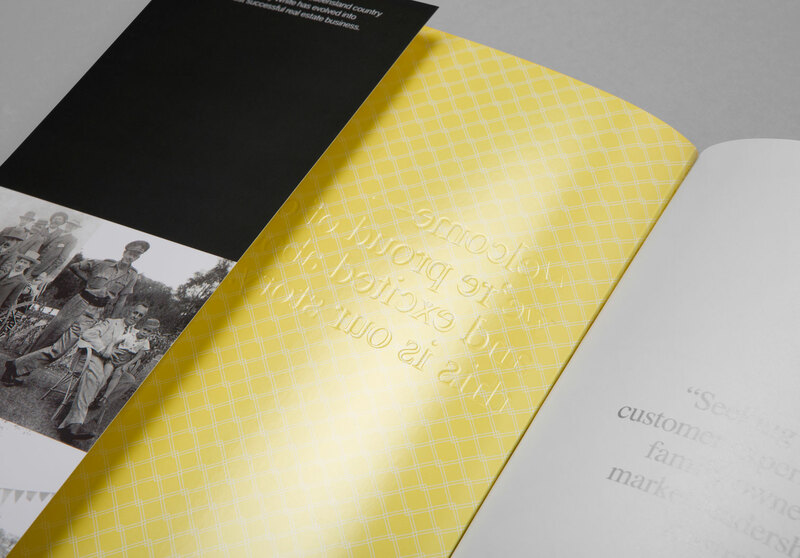 Family owned and led since 1902, Ray White outlined the companies history, current group of businesses and obsession for future growth in their 56 page company profile. 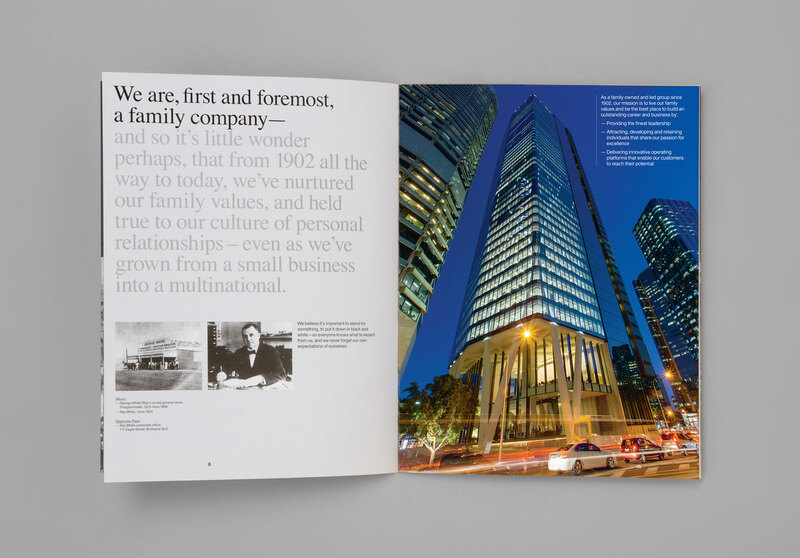 Printed on a variety of paper stocks using special PMS colours, the document reflects the broad spectrum of the organisation and the transformation from a small business into an international organisation.